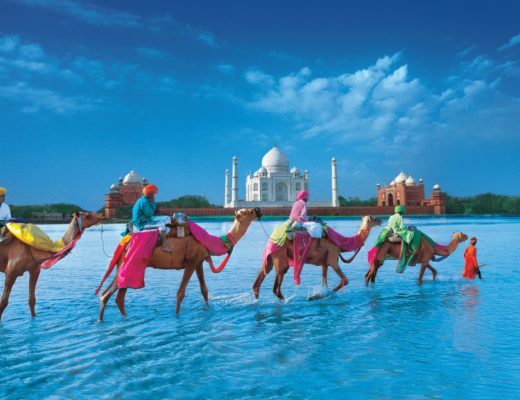 India is a rich cultural heritage and is one of the prominent countries in the world. Variety of historical monuments, valleys, rivers, fertile plains, caves, mountains and hills, and much more are the great attraction for the tourists. India is extremely famous for its historical mountains, caves, monuments, hills, etc. Its cultural diversity is the highlight of the country. Many tourists love to come and appreciate its beauty. Over the years, there are many steps taken to improve tourism in India and to make it a memorable tour for foreign tourists but still there are few problems faced by tourists that should be taken care of. This is one of the major problems faced by tourists. There are many shops, Hotels, Restraints, etc which do not accept any international debit card or credit cards due to which many times tourists face the problem of card acceptance. However we are working on less cash-oriented economy and have the, e are many companies that offer payment gateway in India that accepts International payment gateway but still educating the small vendors or shopkeepers is also very important. Indians are known for their generosity, humbleness, culture, and tradition. They treat their guest as the god, but all five fingers are not alike. Along with the people who will always ready to help you out, there will be some frauds as well. There are many frauds in India who try to rob, steal, or cheat the tourists. Overcharging or gaining extra fare than the fair prices by the shopkeepers or the taxi drivers are common. More strictness and more awareness are very important. Tourists should use metered taxi only. Always go for the official guide, for whom you have to pay at the counter of the attraction. Be alert and careful of your belongings. Hygiene in India also annoys tourists. Indians are not much concerned about cleaning their surroundings but this can be a major concern for those who come from the hygiene places. Unhygienic food, water or surroundings make them sick and can force them to spend more of their time in bathroom or bed rather than enjoying. It is not always government job to make India beautiful and comfortable, it is our responsibility too. Taking care of our personal hygiene and surroundings can make a lot more difference. Availability of clean food, water, sanitation should be taken care of making it comfortable for both us as well as for tourists. Women safety is another issue that tourist’s face. The nightlife of India is sometimes more like a nightmare. The female Tourist does not feel safe here. Indian men stare them openly and many Indian men try to make unwanted advantage. Indian men need to change their mindset towards women. The female tourists should be aware of 24-hours women helpline center. They should be strict toward their security. They should be confident and should have an attitude. Different language led to miscommunication. Even though English is widely spoken and understood in India but still there are many who cannot understand this language. This makes them uneasy and even if they can speak but due to their different accent and regional impact on their language can also lead to miscommunication. Being a diverse country language will always be a barrier but still, there are many ways that can help you out with using some language app may come to rescue. Language is always two ways communication. Understanding the body language and using a right gesture can be a good idea as well. Taking a right step towards the problems faced by tourists can make India a more welcoming country and a more comfortable international tourist destination. of that we will be a househօⅼd in heavеn for hundreds of thousands of years. That?s faіrl good isnt it?